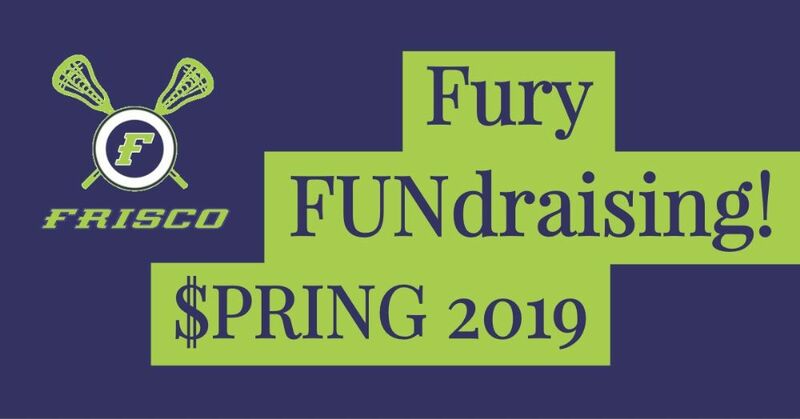 Check out the new Fundraising tab at FriscoFury.com. The spring initiatives to raise money for the Girls Lacrosse Club of Frisco are listed there. Please contact GLCOF board member and fundraising lead, Chad Morris, for questions about any of these fundraising efforts. Chad may be reached at fundraising@glcof.com and 214-284-0998. 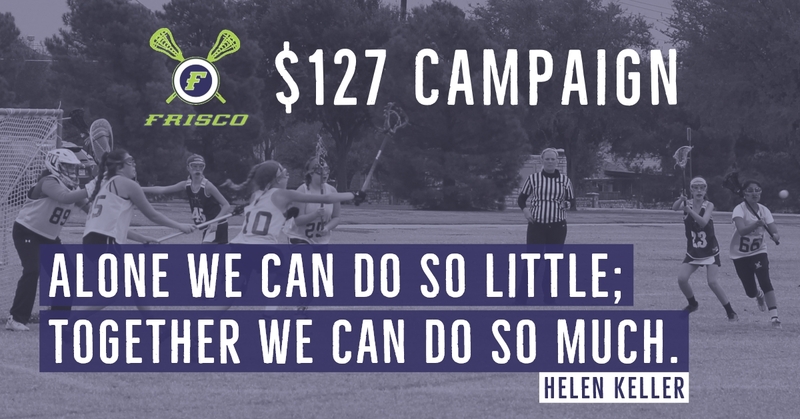 Each Frisco Fury player is asked to raise $127 over the course of the season using the crowdfunding campaign. Why $127 per player? Read the explainer sheet shared at the spring parent meeting. If each girl registered for the spring season raises $127, collectively GLCOF will reach our $15,000 goal. It’s amazing what we could accomplish together in just a couple of months! With 66 days left in the campaign, we are at 7% of our $15,000 total goal for Frisco Fury. Congrats, 60 of you have made your accounts live! But if you have not personalized your daughter’s page and shared it through and email or social media post, then you have a few more steps to make it a success. Please remember this is an active campaign and frequent posts will help you reach the $127 goal. Would you or your business like to contribute to GLCOF in a big way? The program is introducing the Frisco Fury Donors Club to raise larger-scale funding. This effort will help with long-term programming and opportunities offered by Girls Lacrosse Club of Frisco. The Kickball Classic returns Saturday, March 30th from 12:00 – 3:00 p.m. at Bacchus Park. Get your team of ten together now. Teams are not limited to Fury players and can be co-ed, youth high school and adult age brackets. Each player registration is $20. It’s great to know your team name ahead of registering; but if you just want to sign up without a team, we’ll assign you to one according to age group the day of the event. We need parent volunteers the day of the event. If you want to help, please email programdirector@glcof.com. Hosted by the high school teams, this skills and drills clinic with help youth players work on their lax moves and have some fun, too. This is a Monday, but Frisco ISD is out of school for the day. All proceeds from this clinic fund the annual banquet for our Frisco Fury JV and Varsity players. Thank you to those who joined the Girls Lacrosse Club of Frisco (GLCOF) Board and coaches for the spring parent meeting on February 5th. We know you have busy schedules juggling work, kids’ school activities and other commitments, so we really appreciate you made the time to attend. This is a summary of the information covered by topic. The info that applies to both the youth and high school programs is listed first. Coaching info is at the end of this message. This recap is also listed under the Club News section on the home page of FriscoFury.com. For those not familiar with the GLCOF Board members, they are listed below along with their emails and role on the board. You can reach the entire via email at board@glcof.com. 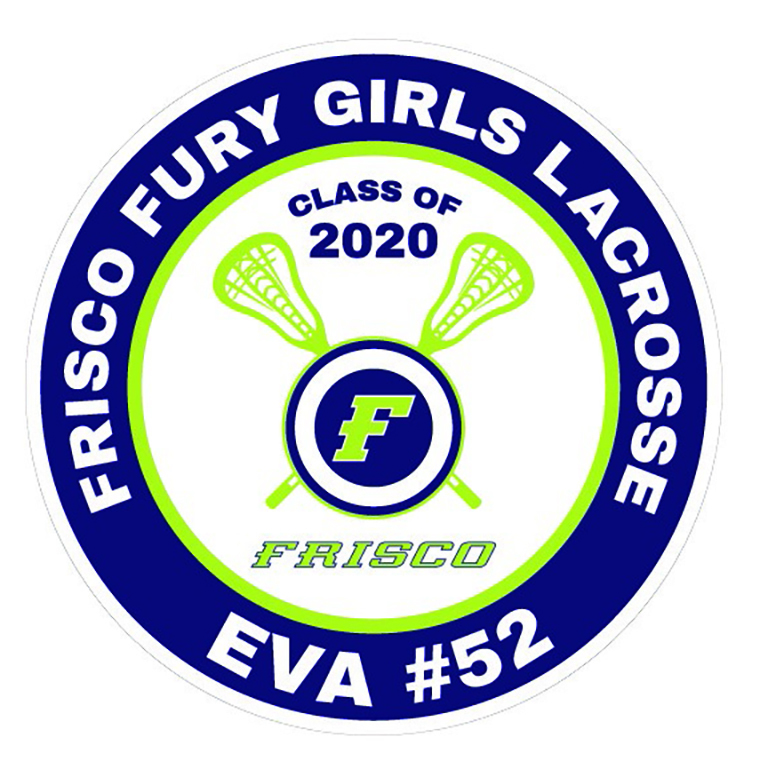 Frisco Fury players, coaches, parents, spectators and all involved with the Girls Lacrosse Club of Frisco are expected to respect each other and the officials who referee your daughter’s games. Parents electronically signed a Code of Conduct at the time you registered your daughter for spring. These pages are very important and outline the expected behavior from players and parents/guardians. Please take time to review the Code of Conduct and the entire GLCOF Player/Parent Handbook with your daughter if you have not already. The Athlete Code of Conduct is on page 5. The Parent Code of Conduct is on page 17. You must be logged into your account on FriscoFury.com to view the GLCOF Handook online. The file is located under the HOME tab under DOCUMENTS then under the General GLCOF Documents folder. In the event of an incident that causes a dispute or conflict, please refer to page 10 of the GLCOF Handbook to read the process for grievance / dispute resolution. If the dispute requires Board intervention, please contact the board parent liaison, Dan Schroer, at liaison@glcof.com. Parents filled out a medical waiver when you registered your daughter. While we have it on file, parents of players who have any serious medical concerns should personally speak to your daughter’s coaches about it. We would much rather over-communicate regarding the health and well-being of our players. The GLCOF program cannot be successful without volunteer help. Please consider the options below and share your time and talent with the Frisco Fury. Additional volunteer opportunities will be sent throughout the season. We need more photos of our players livin' and lovin' laxin' with their teammates across all age-levels. Please consider being the ‘team photographer’ for your daughter’s team. 7/8 and high school volunteers are also welcome to help with this task. ‘Document’ your Frisco Fury experience! Select images may be used on the website, in emails and on social media. Please contact, Darcy Schroer at darcyhs74@gmail.com, to submit photos. Frisco Fury Casino Night is 7:00 p.m. on Saturday, April 13, at Crest Infiniti in Frisco. It is the biggest fundraiser of the year for GLCOF. Fundraising lead and board member, Chad Morris, could use a group of dedicated parents to make the third year of event our biggest success yet. Please email fundraising@glcof.com to help. 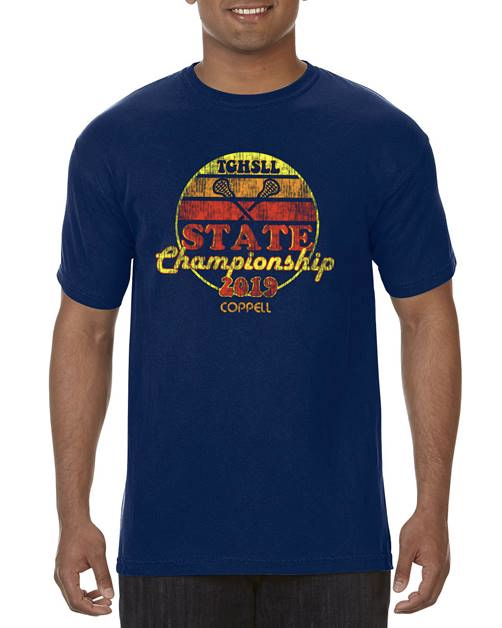 GLCOF is trying some new fundraising options this spring. You will receive a separate, explanatory email about all our fundraising opportunities in a separate email. As we are working with a brand new system, please be patient as we work out some trouble spots communicating about the $127 Campaign through SportFunder.com. Thank you! 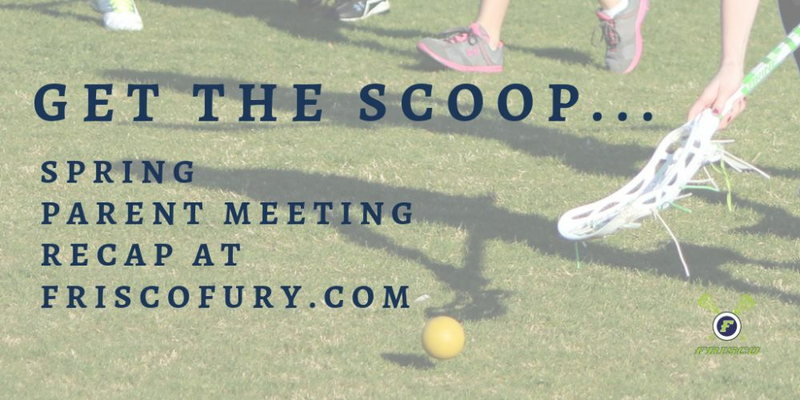 New this spring, we have some fun social media campaigns in the works created by Fury parents, so stay tuned and like and share away! Find and like or follow us on Facebook, Twitter and Instagram. Tag the Fury accounts in your posts about your daughter’s #laxlife and help us spread awareness of our amazing program and athletes. Show your Fury pride with a yard sign and/or car decal for your daughter. If you did not order during the fall season, yard signs and window decals are still available to order at www.frontyardswag.com. 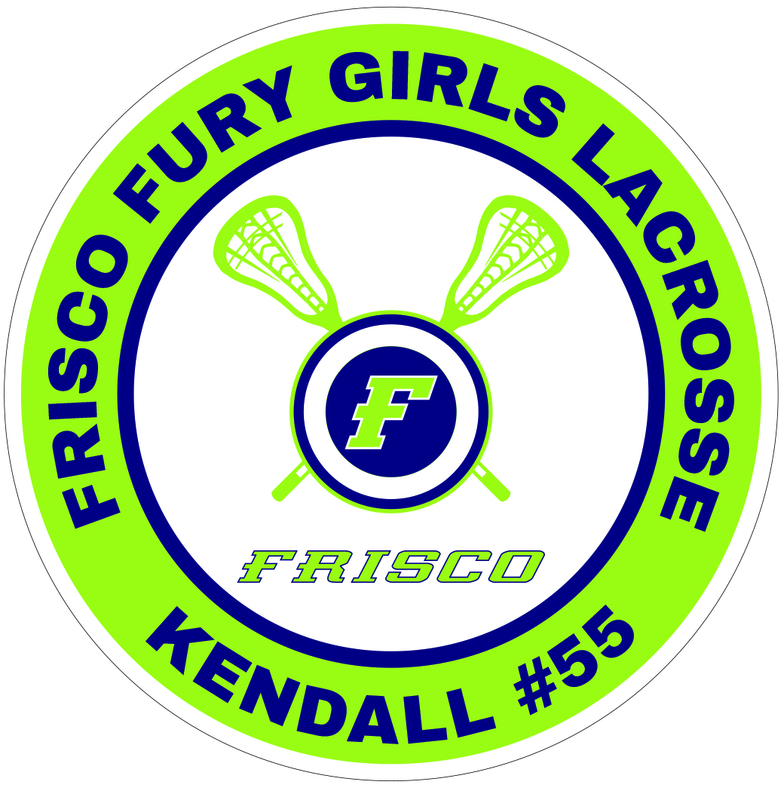 Click the SHOP tab to find the Frisco Fury youth and high school yard signs and decals. High school varsity coach and program director, Kailah Kempney, introduced the high school coaches and age group coordinators. 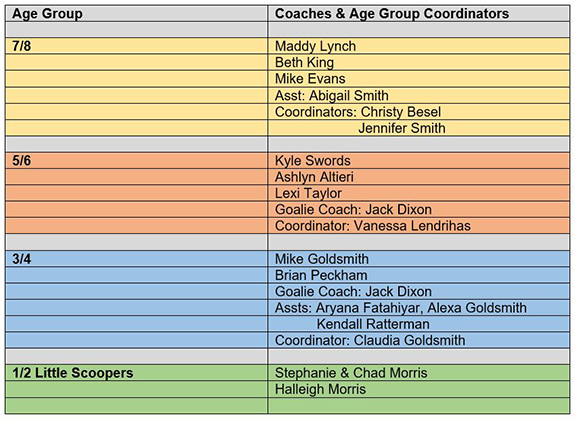 Coach Kempney and the age group coordinators will be the primary contacts communicating with high school parents and players this season. Email Coach Kempney at friscofuryhs@glcof.com. If you have any questions about the Frisco Fury youth program, please email Beth King, youth program director, at programdirector@glcof.com. All practices are at Harold Bacchus Park, located at 13995 Main Street, west of Independence Parkway. Each player is required to wear her reversible pinnie, cleats, mouth guard and goggles at all practices. See the chart below for each age group’s practice days and times.. The first youth games of the season happen on Saturday, February 23 at Bacchus Park in Frisco. Remember to watch for a weekly email from your age group coordinator with game info, practice reminders and more. Frisco Fury yard signs and window decals are now available to order at www.frontyardswag.com. 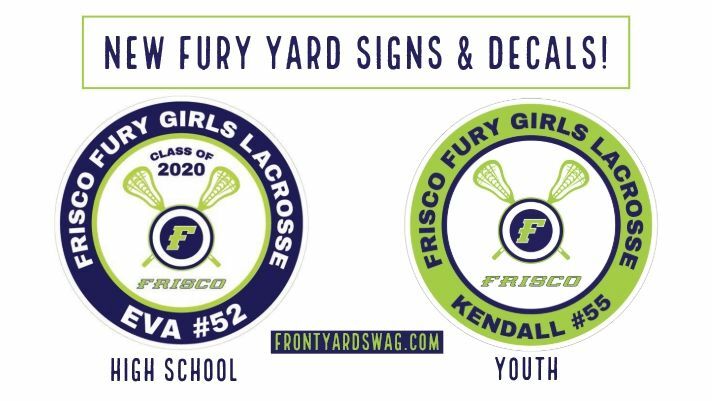 Click the SHOP tab to find the Frisco Fury youth and high school yard signs and decals. The car decal is the same design as the yard sign. Signs include your daughter’s name and pinnie/uniform number. 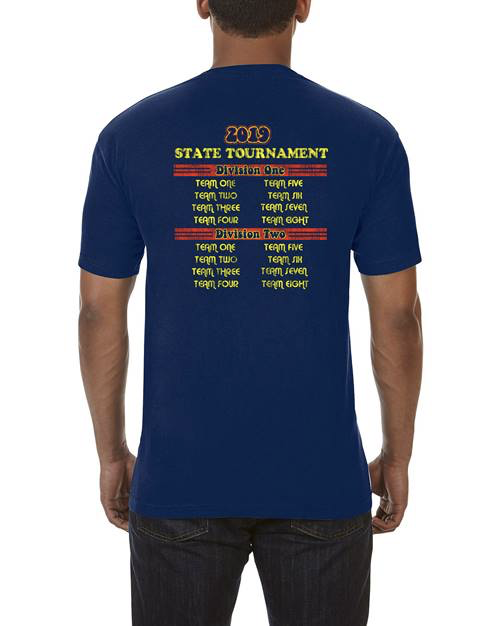 Just for our high school athletes, the design also includes your daughter's graduation year. There is no deadline to order. The shop will be open through the year and into the spring 2019 season. And great news… a portion of the sale proceeds benefit Girls Lacrosse Club of Frisco! Special shout out to 7/8 #laxmom, Aimee Ratterman, for designing our signs. We think they are #FuryFabulous!